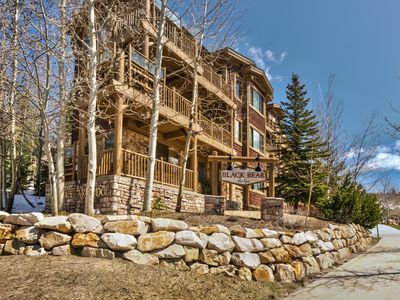 Stay close to the action in this charming 2-bedroom condominium, a mere 200 yards from the First Time lift at Park City base area. 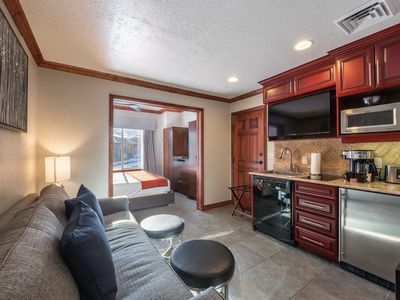 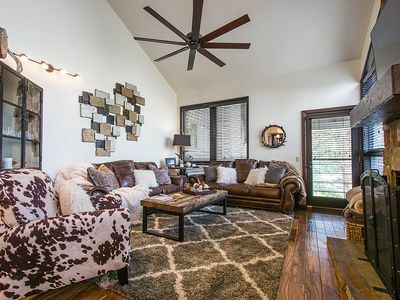 You’ll be only minutes away from all of Park City’s most popular attractions when you book this comfortable vacation condo, located in downtown Park City, whether you are here for a day on the slopes, the Sundance Film Festival, or a Main Street shopping spree. 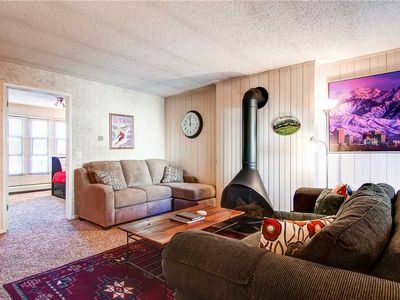 All the comforts of home await in this spacious two-bedroom condo. 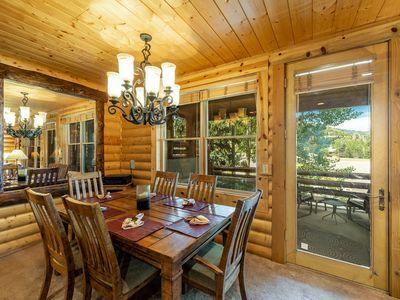 A full kitchen, dining area, and open living area offer plenty of space to unwind in addition to the two large bedrooms and bathrooms fitted with rustic décor and furnishings. 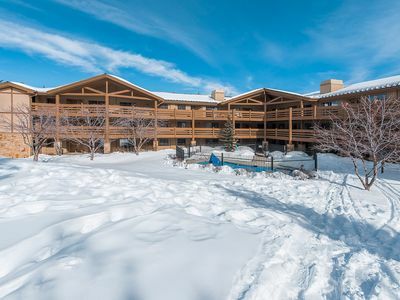 Features include several flat-screen TVs, a gas-burning fireplace, complimentary WiFi, jetted master tub, and access to the heated outdoor pool and ski locker room. 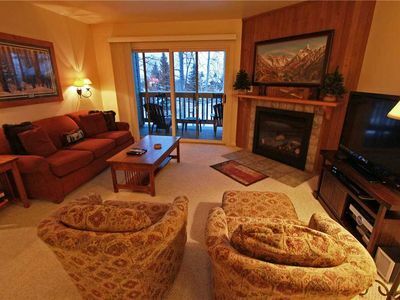 Enjoy the unobstructed view of the mountains over the meticulously groomed golf course from the shared balcony, or step out for a quick breath of fresh air on the condo’s private balcony. 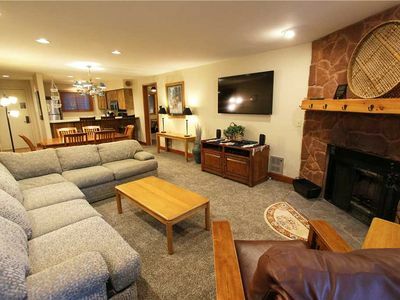 Complimentary underground parking ensures you won’t fight the crowds for a place to keep your vehicle. 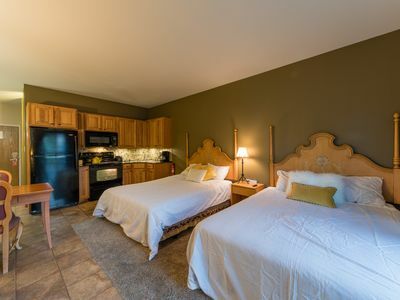 Each of the two bedrooms feature access to one of the condo’s two bathrooms, as well as a television, closet, and additional storage. 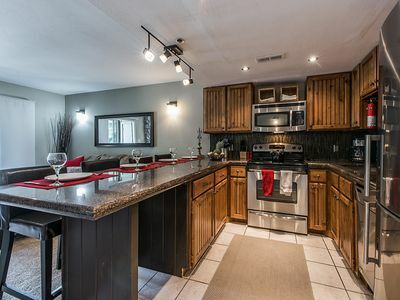 The kitchen includes a full-size refrigerator, oven, range, toaster, coffeemaker, and dishwasher to fulfill all of your cooking needs. 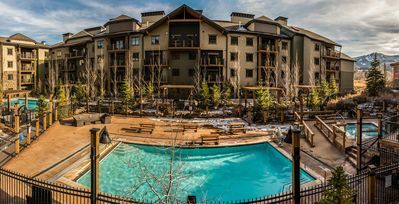 The All Seasons Condominiums pool will be closed from October 3 to November 15, 2017. 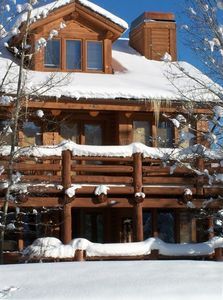 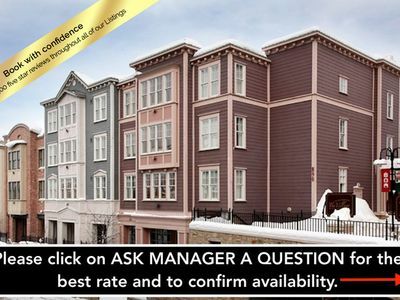 2 Bedroom Ski Condo- Walk to Deer Valley Ski Resort - 4 Min Drive 2 Park City Ski Resort! 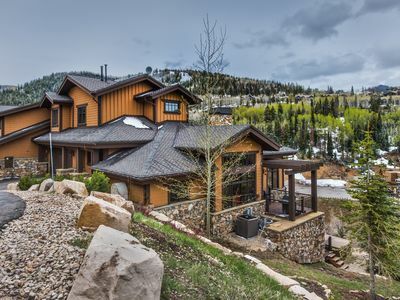 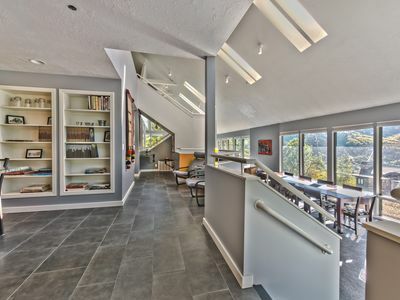 Stunning Park City VRBO Home 6 Min from Ski and Silverlake Village!